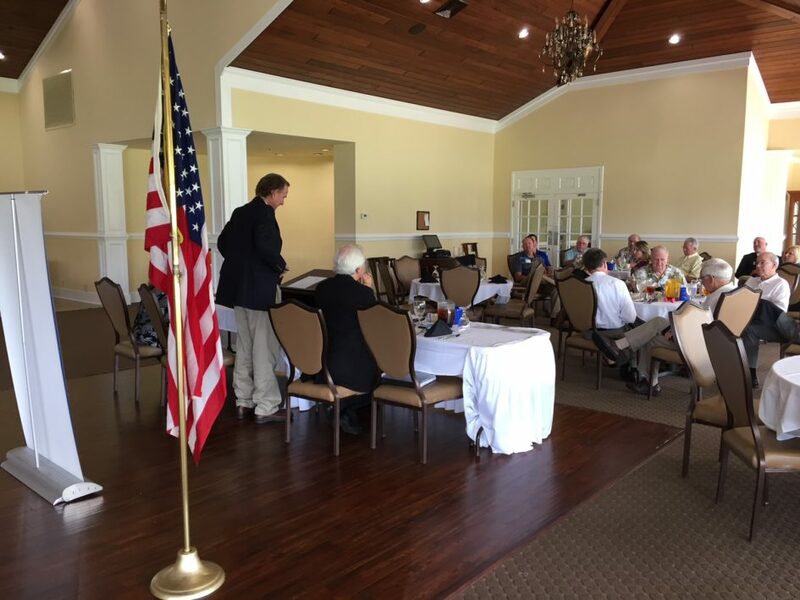 North Myrtle Beach Rotary has been spoiled with visits form our esteemed local politicians, as County Councilman Harold Worley paid a visit to our first meeting of September! As an experienced developer, Councilman Worley expounded upon the rapid growth of both housing and commercial developments in Horry County, as well of the possible ramifications of said growth. Worley stated that storm water drainage was a main cause for concern as more developments are constructed in our area. Drainage is an ongoing issue in our area, and have been magnified in recent major weather events, such as the flooding of 2015 or Hurricane Matthew in 2016. Councilman Worley stressed that new developments that have been approved in the area may not only potentially experience flooding issues in the future, but very well may affect draining issues in neighboring developments. This is something that current residents will need to pay attention to as our area experiences more growth. We thank Harold Worley for the speaking to the North Myrtle Beach Rotary Club, and his contributions to our community!